As I have no serious mechanical shop, the baseplate has been always a prototype. The first versions had baseplates made from aluminum or steel. Later I had problems with designs where the lowest by distance and highest elements by frequency where very close (10cm or less) to the baseplate. The influence was very strong and I decided to look for another material. Now I use a thermo-plastic polymere which is absolutle UV-resistant, with mechanical features like aluminum but easier to handle. 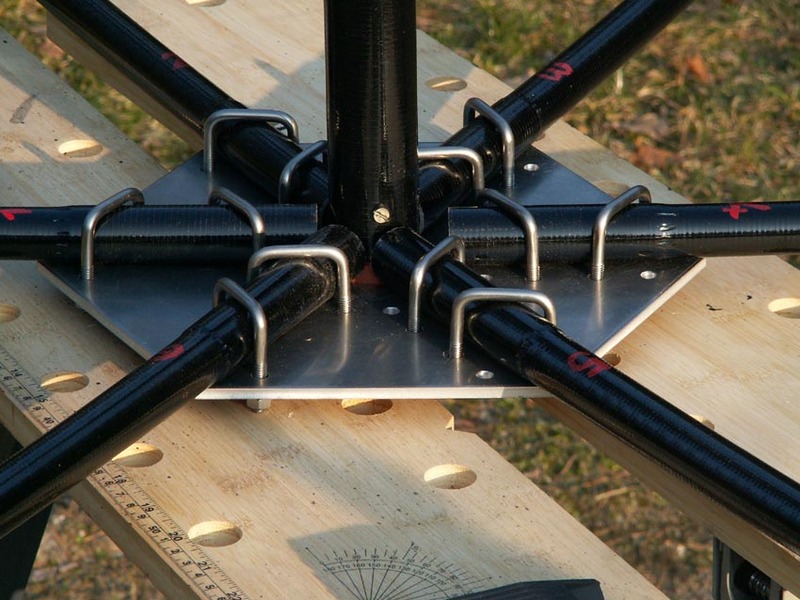 The shown baseplate is for a 20m version without holes for the U-bolts for those using own spreaders. Every baseplate comes with two of the seen flange sleeves and stainless steel hardware (3xM8x40mm with nuts, washers etc.) for fixing baseplate and flange sleeves. If you go with my spreaders I can deliver the baseplate drained with holes as offered. 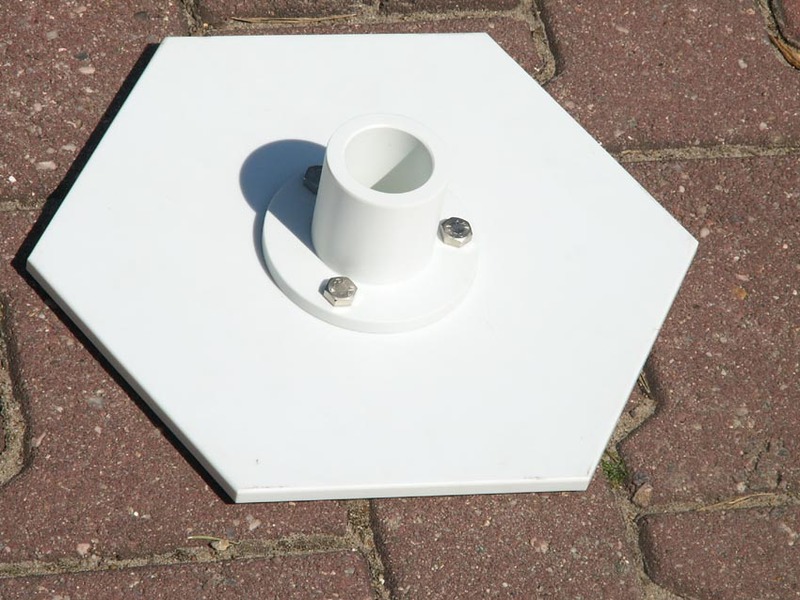 The inner diameter of the center hub or mast connector is 38mm and the outer diameter is 54. In the foot we have 3 holes of M8 on a diameter of 75mm. The overall diameter of the connector is 96mm and the height is 60mm.